Joseph West was born on 2nd April 1882 at Farnhill near Keighley in Yorkshire and subsequently lived in Keighley. 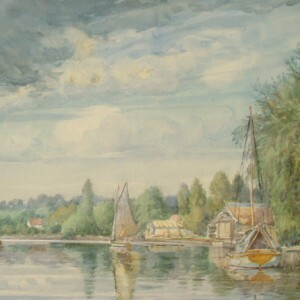 He was a painter of landscapes, animals and coastal scenes in watercolours and studied art at the ‘Yellow Door School’ in Beckenham, exhibiting between 1913 and 1931 at various venues. 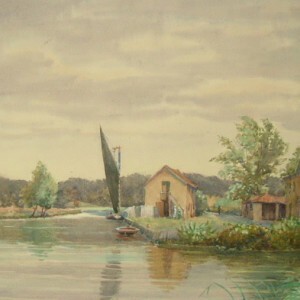 Joseph West is known to have exhibited two paintings at the ‘Royal Institute of Painters in Watercolours’, five works at the ‘Walker Art Gallery’ Liverpool and twelve works at the ‘Royal Cambrian Academy’. He also exhibited at the ‘Royal West of England Academy’.